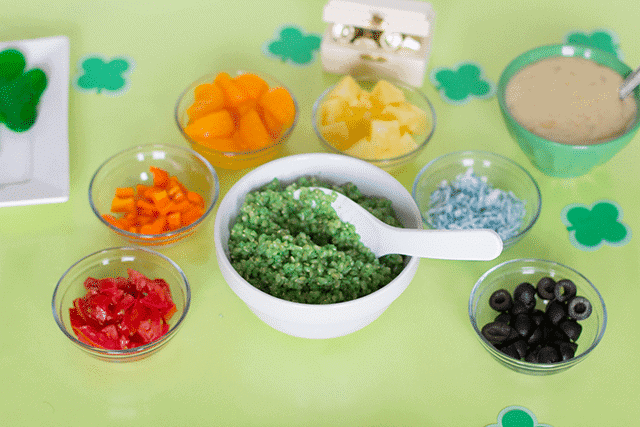 Fun St. Patrick's Day Traditions For Kids & Families - So Festive! 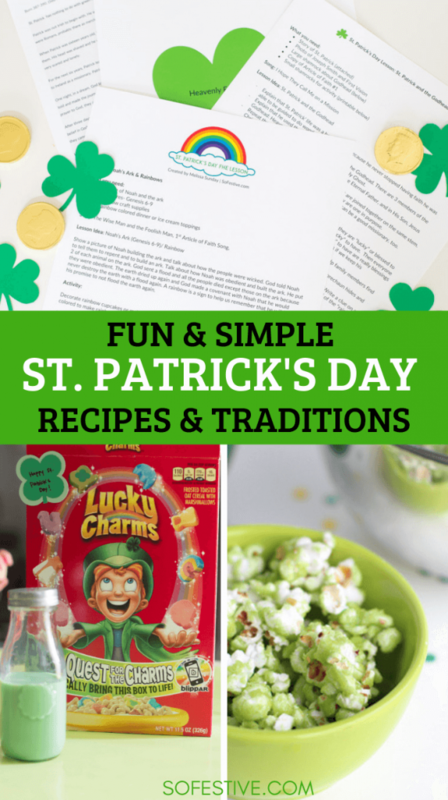 Add a little magic to your family’s St. Patrick’s Day with one of these simple St. Patrick’s Day tradition ideas for meals, green desserts, family activities, drinks, and more! It’s your lucky day! Here’s a ton of fun St. Patrick’s Day traditions and recipes to help you celebrate March 17th. 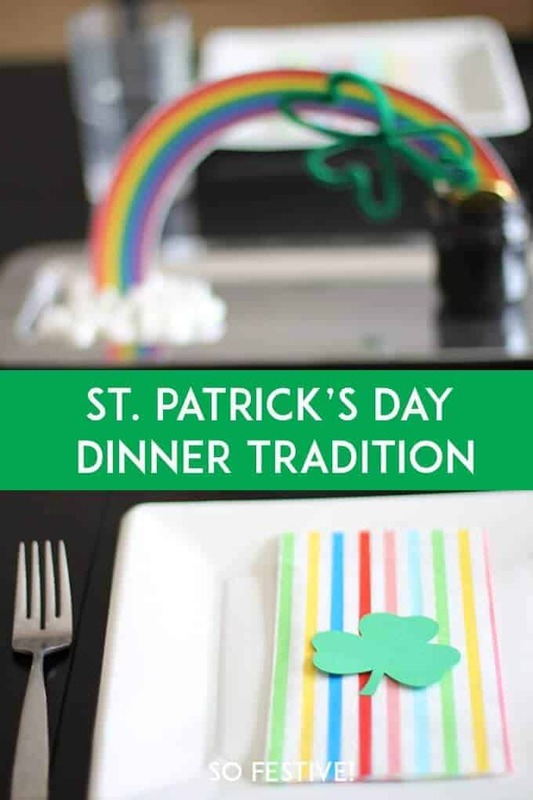 Perfect for you little leprechauns and family alike, you’ll be able to make this day festive with one (or some) of these festive green ideas! 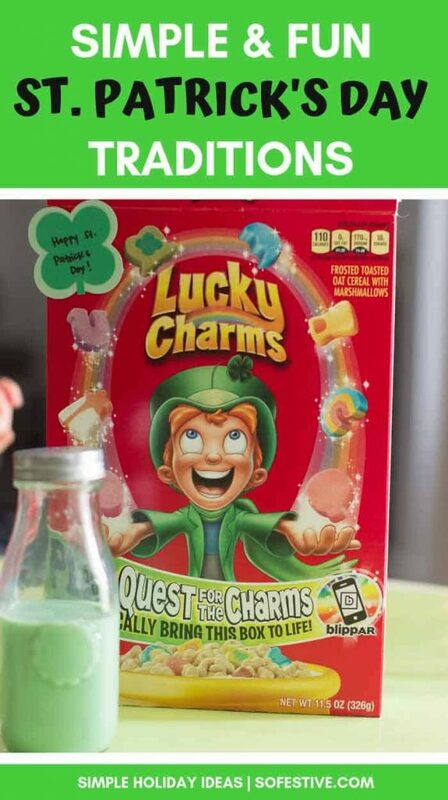 Start the day off right with this simplest St. Patrick’s Day breakfast by picking up a box of Lucky Charms. For extra festiveness, dye the milk green! 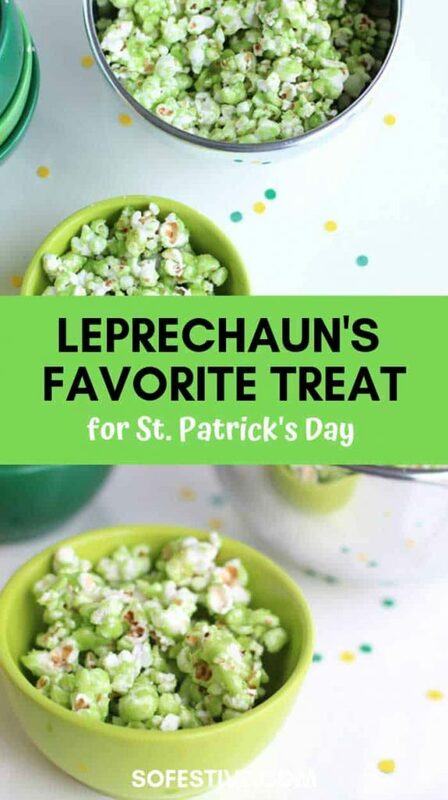 For a simple St. Patrick’s day activity, cuddle up to a movie and make this amazing lime popcorn. If you’re lucky, it might help you catch a leprechaun! Get the recipe here. 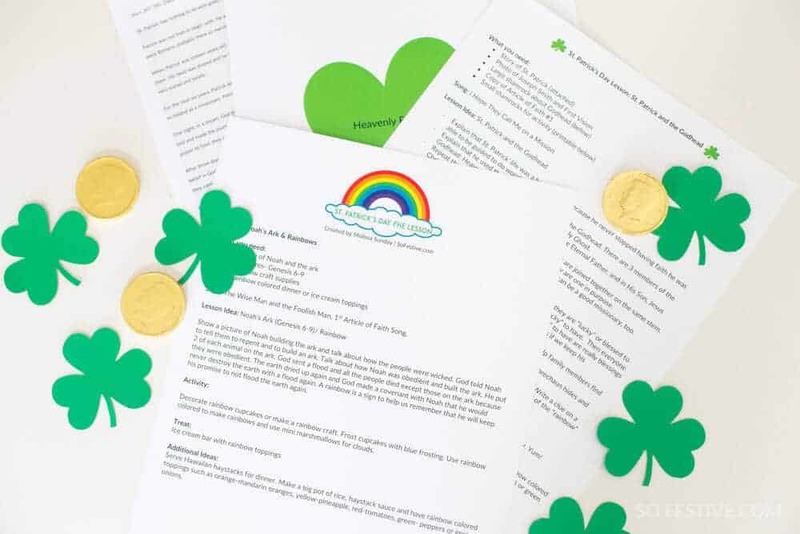 2 fun printable lessons that tie in perfectly with St. Patrick’s Day: one about St. Patrick and the other all about rainbows and Noah’s Ark! Click here for the lessons. 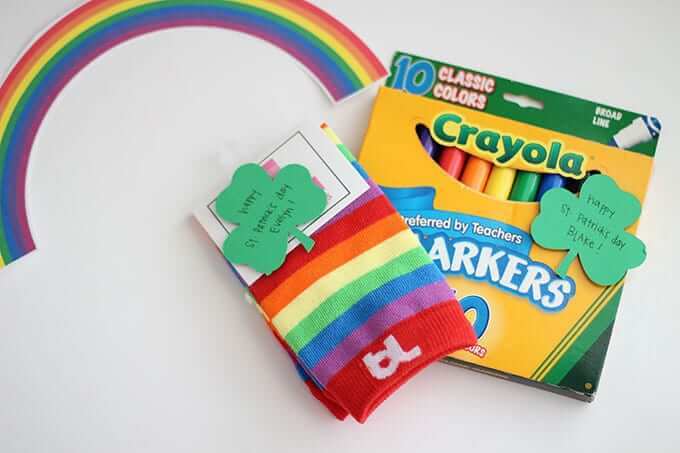 If gifts are your love language, have the leprechaun leave a surprise rainbow gift for your children! Or do a scavenger hunt to find them! 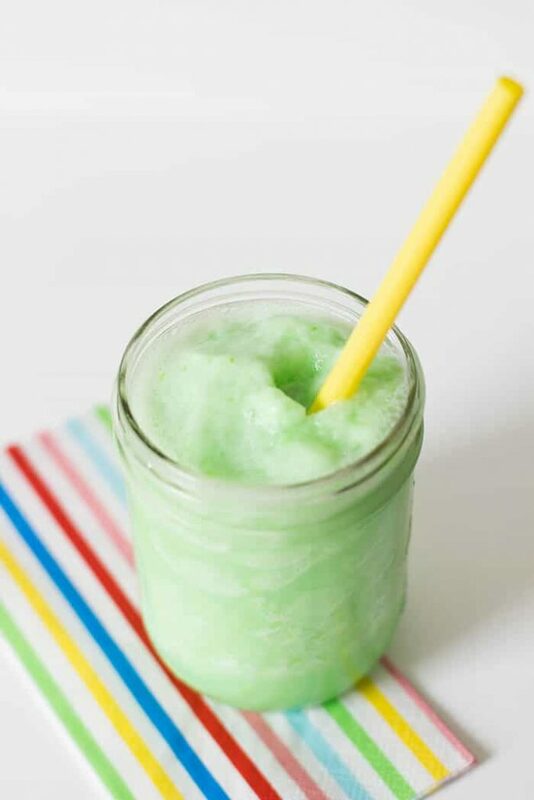 Make these easy and refreshing St. Patrick’s day drinks – the ultimate pinch-proof potion! Here’s the recipe. Serve up a festive dinner by dyeing your favorite foods green. You can see some of our favorite St. Patrick’s Day dinners right here. Taste the rainbow with this St. Patrick’s day tradition. Make up a fresh and healthy rainbow dinner we call Irish Haystacks using this recipe. Hide chocolate gold coins around the house or classroom for a fun treasure hunt. There you have it! I hope your St. Patrick’s Day is festive and full of green so you don’t get pinched! Xo!